Senate President, Dr. Bukola Saraki has ordered the Central Bank of Nigeria (CBN) to recover the sum of N30billion which was the cost of waivers illegally granted to some category of importers. Saraki said this while receiving the Governor of CBN, Mr. Godwin Emefiele and other members of the management team of the apex bank who came to brief the Senate on the state of the economy and measures the bank is taking to ensure financial stability in the country. “I believe the recent policies you initiated on some selected items are good steps that will help our economy. But one of the observations you also made was that CBN alone cannot make the policies to work. We, in the Senate, are ready to give the right signals that will help the success of these policies. For example, you brought to our notice some of the waivers and taxes, waivers on import duties especially on rice close to N30 billion that was given to some companies which must be repaid back to the Federal Government. “It is our intention also, after we have resumed, to get the Customs to come and brief us but before that, we cannot be taking some of these tough decisions while some people will get away by not paying what they should return to the government. According to Saraki, the policies of the CBN towards resuscitating the economy which Emefiele presented to the Senate can only succeed if smuggling is eradicated. “There is also the issue of smuggling because no matter how good these policies on import substitution are, if smuggling can still be going on the way it is going on now, these policies will not be successful. The authorities must take tough stand against smuggling, especially by moving against the big smugglers that are well known. It is time to take actions to stop them,” he said. 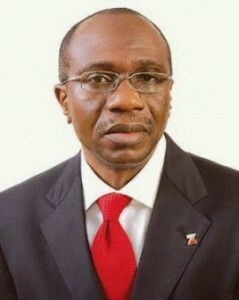 He added that the CBN must put measures in place to ensure fiscal discipline especially in income generating agencies. “The key issue also is fiscal discipline. The CBN must know the agencies of government that in the past have been used to not sending their revenues straight to the consolidated revenue and you must play a key role in ensuring that this is done. “By and large, the key issue is that we must diversify our economy. That is the policy of President Muhammadu Buhari because that is key. The policies you have initiated are geared towards that direction and more importantly also, we must renew the confidence our partners, investors that want to come and invest in this country, have in us. We must start looking at how we can start encourage local production, particularly, in the area of agriculture and mining”. Speaking earlier, Emefiele told the Senate that the CBN has continued to initiate measures to strengthen the economy and reposition the country for the next phase of growth and development. “Let me reiterate that with inflation at single digit, exchange rate relatively stable and our reserves gradually rising from blocked leakages, our economic fundamentals remain strong. Going forward, the CBN will continue to be vigilant in the market to ensure that there is zero tolerance for speculators and rent seekers. “Nigeria’s foreign reserves remain our common wealth and we must all strive to work together to protect it and prevent speculators and rent seekers from plunging it. We will continue to find ways to rebuild our reserves and where possible accelerate efforts aimed at improving aggregate supply potentials of the economy. “In this effort, I strongly crave the support of the leadership of the Senate as we march towards achieving a more prosperous and self-sufficient Nigeria,” he said. The post Senate Directs CBN To Recover Illegal N30bn Import Waivers appeared first on INFORMATION NIGERIA.